I offer engagement sessions, bridal portraits, and other portraits sessions for $275. Most people know about engagement sessions but are often asking me "What are bridal portraits" so I thought I would answer that question here. You have just bought the most expensive dress you have ever purchased, and most likely ever will purchase. You looked high and low for that one perfect dress. Wouldn't it make sense to give the dress all the respect it deserves? 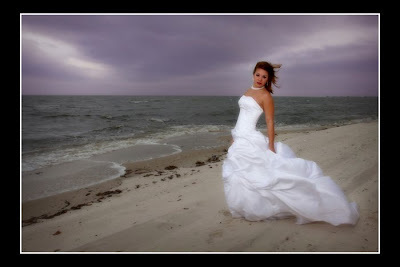 Bridal portraits are much more common down South. And coming from the South, I naturally offered these to my clients. But this is not so common here in New England. On your wedding day, you are going full speed ahead. And while I try and take some time out to photograph you - the bride - many times its fast and rushed and hectic. By scheduling a bridal portrait session, you are giving me, and yourself, time to capture beautiful, timeless portraits of you in your dress that you will have to cherish for the rest of your life. We'll do some traditional poses, some more modern poses - a little bit of everything. And we will always take care to keep the dress clean. For those concerned about getting the dress dirty - you can always schedule your session for after the wedding. What about hair and make-up you ask? Well, I think the perfect time to schedule your bridal portraits is for the same day as you are getting your hair and make-up trials done. If you're intesteted in bridal portraits, feel free to contact me with any questions you have!